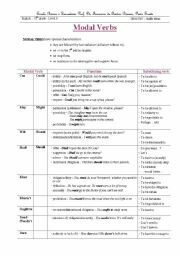 It is a workksheet on Modal Verbs: firstly it has the systematisation, explaining the usage of modals, and then there are some rephrasing exercises. CONNECTORS "ALTHOUGH", "IN SPITE OF" AND "HOWEVER"
It is a worksheet on some connectors ("although", "in spite of" and "however") with some rephrasing exercises. 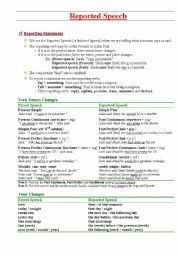 This is a worksheet on the Reported Speech. It is divided in systematisation, with all the changes from direct to reported speech, and written exercises of rephrasing. 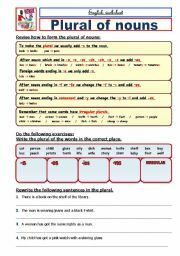 This is a worksheet on Plurals. 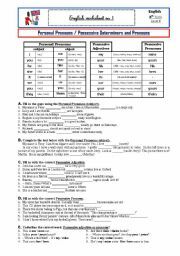 There is a systematisation of how to form the plural of nouns and then some exercises (one elementary of forming the plural, another of rephrasing sentences in the plural changing the verb as well and another of completing a crosswords). 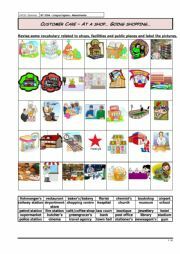 This is a small worksheet of vocabulary related to shopping at the supermarket: there are some useful phrases and some vocabulary to study and revise and then you have some dialogues to complete. This may be useful to units/themes related to Customer Care. 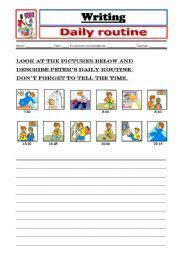 It is a writing activity on Daily Routine - students have to describe someone´s routine according to the pictures. 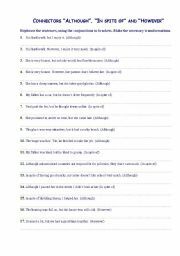 I used it to consolidate the daily routine theme and the time but it can be used to practise the Simple Present tense, the actions, etc. 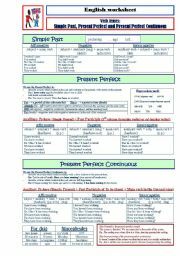 It is a grammar worksheet. 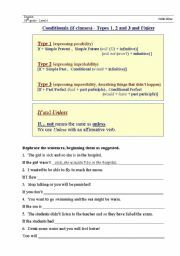 Firstly there is a small systematisation on the conditionals (1st, 2nd and 3rd types)and then some rephrasing exercises. 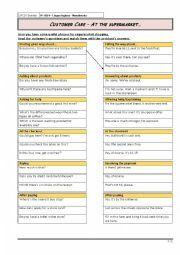 This is a worksheet of vocabulary related to shopping: there are some useful phrases and some vocabulary to study and revise and then you have some exercises to practise about conversations at a shop. This may be useful to units/themes related to Customer Care.